Last month I shared with you that we are working on developing a series of tools and resources to help you build financial wealth and lead a richer life. We are not ready to roll this out just yet but know that it will have a significant technology component. I won’t lie to you…the last few months have been a crash course for me on technology! I am not the most technologically savvy individual but I have been fortunate enough to encounter some extremely knowledgeable and successful people that have been willing to share with me their vast experience. This got me thinking, if I am in this situation, how many of my hermanas are facing the same challenges? I shared my concerns with our wonderful friends at The National Council of La Raza and we have come up with a great solution. Adelante will host a workshop on Latinas and Technology during their annual conference on Sunday, July 20th from 1-3pm. We will start out by talking to Latinas that are using technology such as YouTube to build their personal brand or promote their business and are actually making money! Then we will have a panel of Latinas from Google, Facebook, and Twitter sharing their insider expertise on how to effectively use their sites to expand your brand and increase your revenue by utilizing the tools they offer. 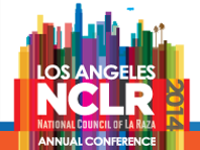 For more information on the conference, please visit NCLR.org. Regarding our technology initiative, we have also been working with our partner The Coca-Cola Company as they are developing a free online training course for women entrepreneurs. The training will soon be available on the Adelante website, so stay tuned for a release date! Last month I spoke at two amazing conferences, the Hispanic Chamber of Commerce of Tucson, Arizona and the YWCA's Women's Luncheon in El Paso, TX. I was truly blown away by the professionalism of the events and the warmth and kindness I received from everyone involved. Being on the road and away from my family is not easy but the love shared by the women that attended these events gave me with the strength to keep going. Of course the sugar rush from the amazing cake and cake pops made by Candy Ramirez from Candy’s Cakes and More from Tucson also helped! 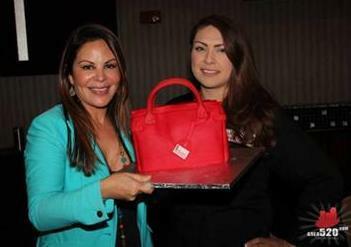 Candy is an amazing entrepreneur with a sweet talent for success. Candy reminded me of all the good that comes from following your passion and that determination and perseverance are also very important ingredients for success. When I was very young I started my career in television and needless to say I faced many challenges, but I was also thankful for the women that came before me. The last few days there have been numerous tributes to the great Barbara Walters. When she started in television, 50 years ago, this young Jewish girl had to break down many barriers so that I and others that have followed could have an easier path. As you work on your passion and build your success, don’t forget to honor those that came before you and make certain you leave an easier path for those that come behind you.